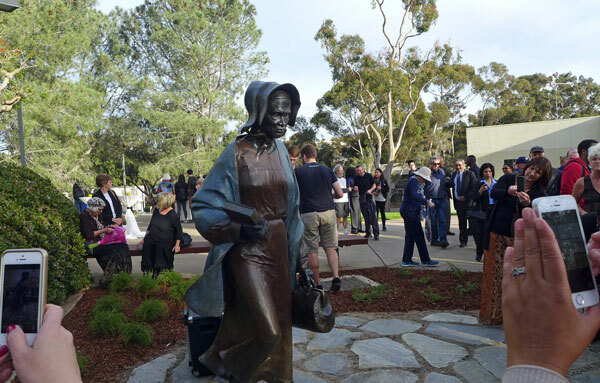 UC San Diego has a new public art installation that commemorates the life and legacy of African-American abolitionist and women’s right activist Sojourner Truth. 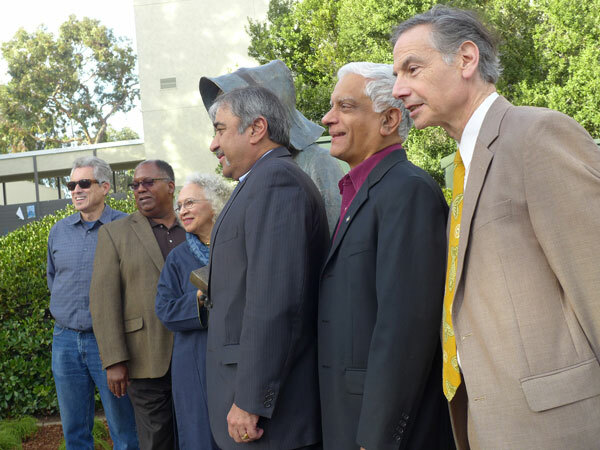 The idea for the statue, located on Ridge Walk near the Economics Building, originated from a conversation between students and Dimensions of Culture Director Jorge Mariscal. 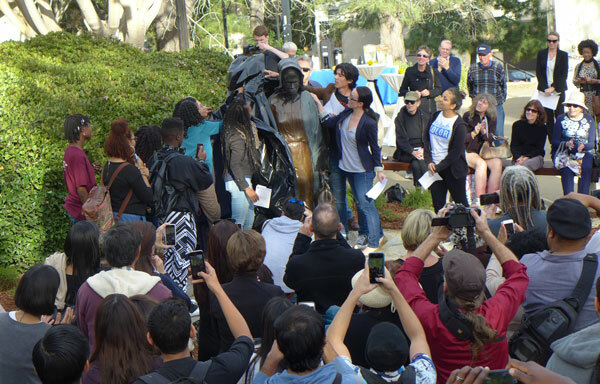 Alumna and artist Manuelita Brown created the sculpture, which is designed to exude Truth’s deep humanity and commitment to education and action in the pursuit of equal rights; Brown also designed and produced our Triton Statue and the Thurgood Marshall bust. 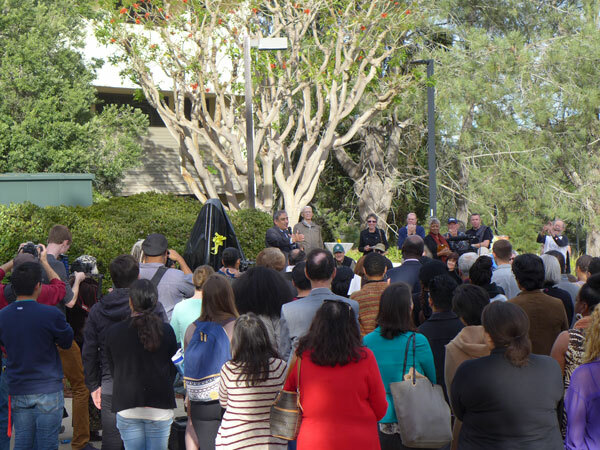 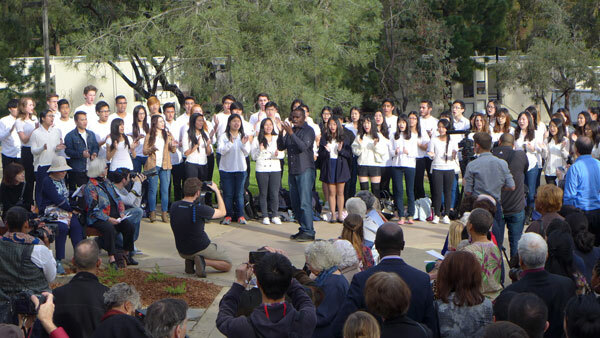 During the unveiling ceremony yesterday, Chancellor Khosla thanked all of our students who advocated for the statue and everyone involved in making the project a reality, and applauded the addition of art on campus that reflects the rich diversity and culture of our community. 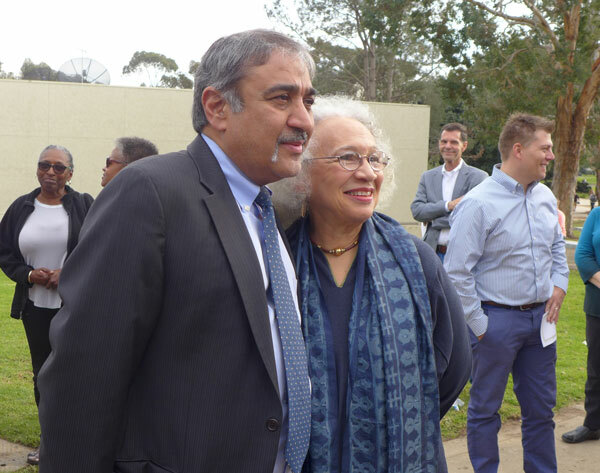 Chancellor Khosla poses with Manuelita Brown, who created the Sojourner Truth statue. 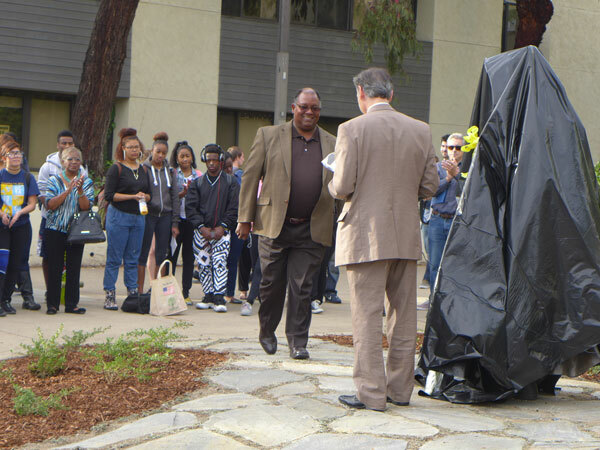 Thurgood Marshall College Provost Allan Havis presents VC Gary Matthews with an appreciation award.